Mfoniso Udofia is one of America’s fastest rising playwrights. 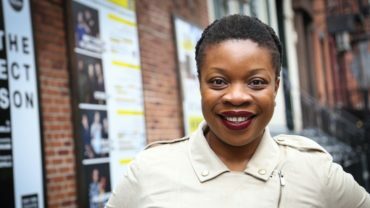 A second-generation Nigerian-American, plays in her Ufot family cycle have been performed in New York, Los Angeles, and the San Francisco Bay Area, where two of those works are currently seeing productions. “Her Portmaneau” can currently be seen at ACT’s Strand Theatre through March 31st, and previews begin for the world premiere of “In Old Age” at the Magic Theatre on March 27, 2019. Hosted by Richard Wolinsky.